It’s been said, “love knows no bounds.” No two people know this to be true more than Kayla and Aaron Remmers. Kayla, originally from California, and Aaron, born and raised in Louisville, were separated by 2000 miles. But they found their way to each other at a Western Kentucky University party. Kayla and Aaron are a very outgoing couple who are always surrounded by friends and family. So naturally, Aaron wanted to pop the question when they were gathered together in Las Vegas celebrating his sister Natalie’s 21st birthday. 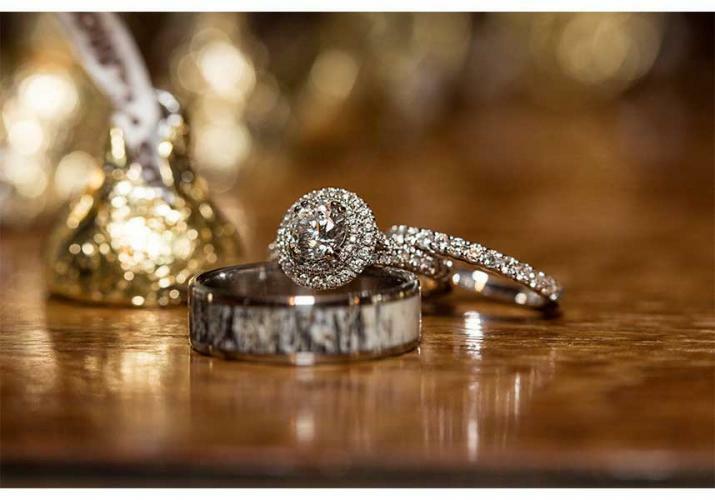 Aaron was afraid he wouldn’t get the ring in time, but Genesis Diamonds sent the ring overnight to Caesars Palace. Before Natalie’s birthday dinner, the group stopped at the Bellagio fountains to give Natalie a “surprise birthday present.” Little did Kayla know, the surprise was for her. Natalie handed the fake present to Kayla and told her to look inside. 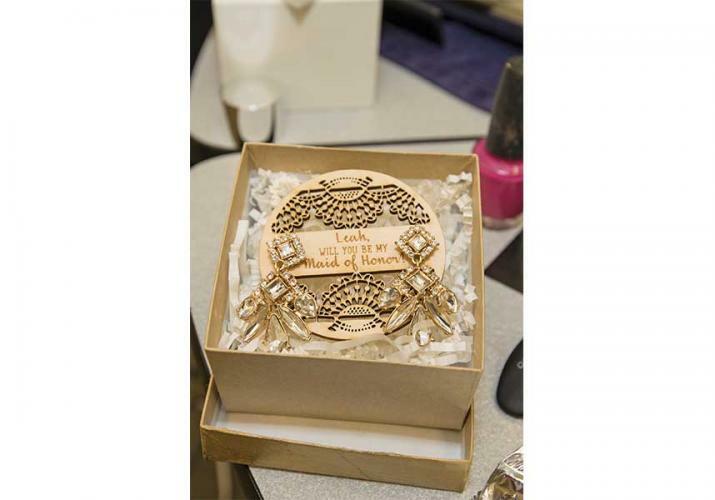 Kayla opened the box to find a note reading, “Kayla, will you marry me?” and Aaron down on bended knee. On December 9, 2016, the couple tied the knot at St. Agnes Church with the reception following at The Gillespie. 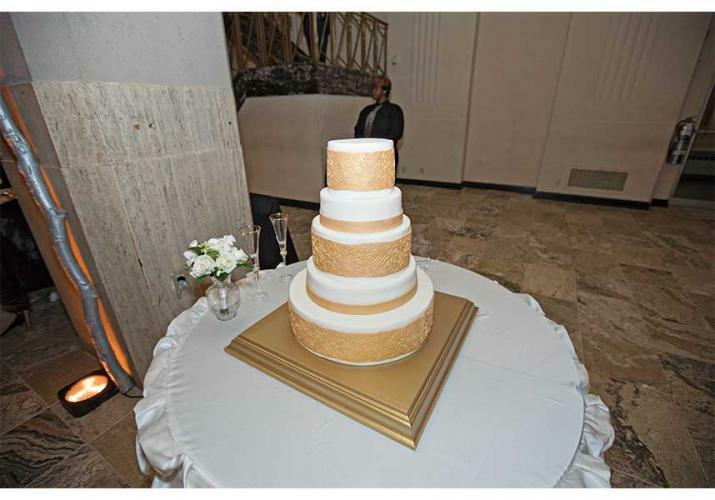 Both venues had exactly what they were looking for -- elegant, breathtaking scenery. Kayla loved the Gillespie because it reminded her of the historic buildings in San Francisco, which made her feel at home. 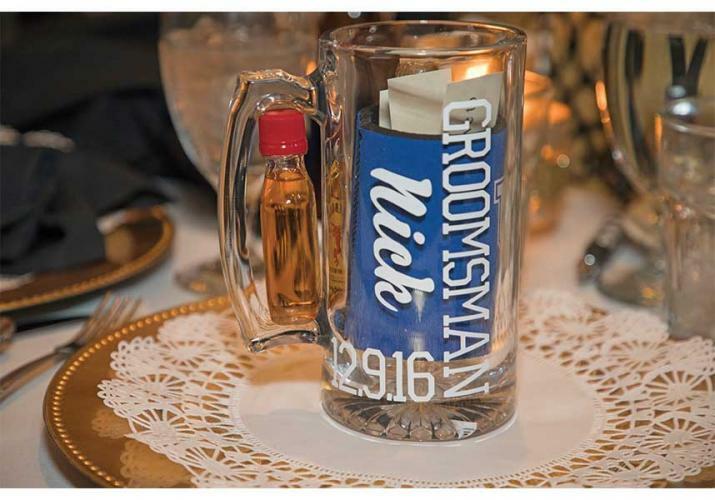 She weaved her Golden State ties into her Southern wedding in many ways. 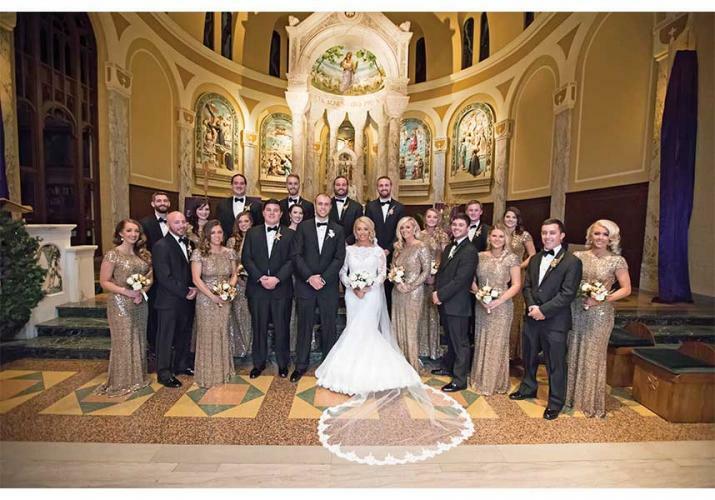 The bridesmaids wore full-length gold sequin gowns by Badgley Mischka. The wedding party flowers were 14k gold-dipped orchids. 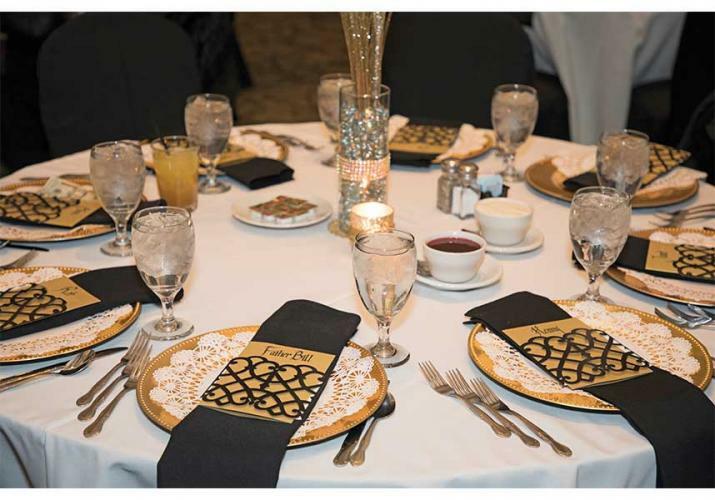 The reception decor details also included gold touches. 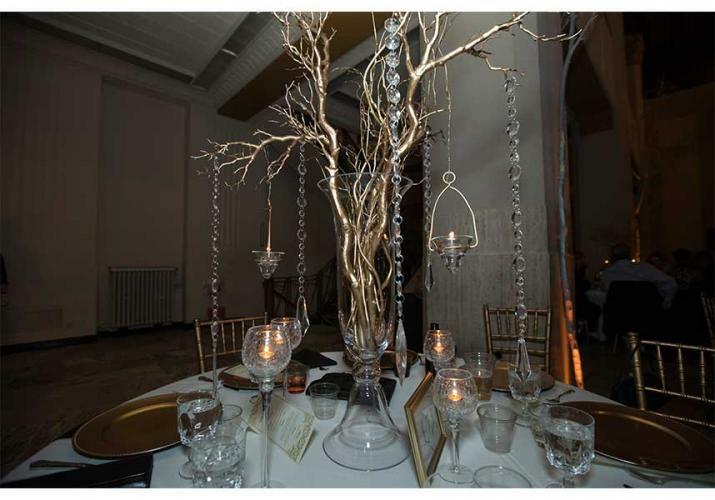 The tables were decorated with floating candles, candelabras or 14k gold-dipped branches with hanging crystals and candles. The head table stood tall with three arrangements of gold branches with two dozen floating candles and embellished gold mirrors. “I wanted to create a very romantic, winter vibe,” Kayla said. Aaron and Kayla took a moment during the stress of wedding planning to write letters to each other, which they exchanged during their first look on their wedding day. Looking back on everything, Kayla wouldn’t trade the few mix-ups or stressful moments for anything. Her advice to other couples planning their big day is to relax.